Pics. Events. Links. Likes. Shares. It’s all here. Like Alley on Facebook and stay in the loop. Check out the latest music uploads to Alley’s Soundcloud. 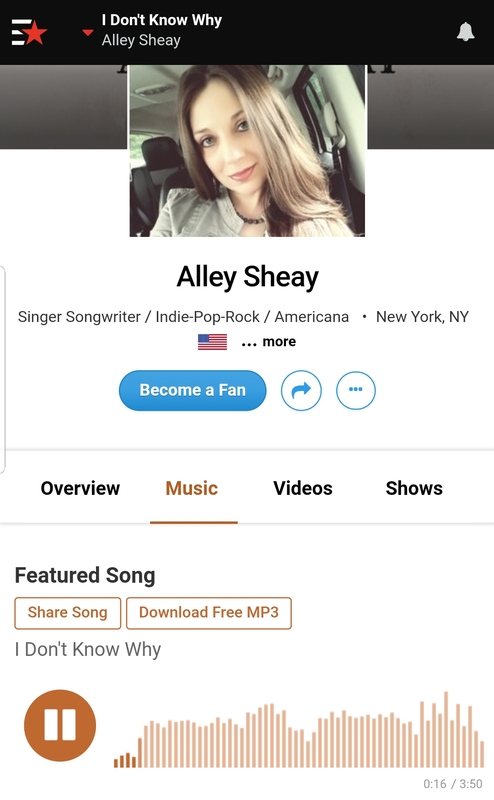 Download a special behind the scenes version of Alley’s throwback original single, “I Don’t Know Why”, exclusivly on Reverbnation. Stream her latest covers. Indie, Bluesy, Jazzy, Pop-Rocker with a dose of Country Girl. Alley began singing and writing as a child in NY. As a young girl she played Carole King's Tapestry until the tape almost wore out. Other musical influences include Etta James, Amy Winehouse, Beth Hart, Cyndi Lauper, as well as 80s pop and rock bands, and country music of all eras. Her playlist could contain anything from LLCoolJ, Imelda May, Guns n Roses, and BeBe Rexha, to Louis Armstrong or Jason Isbell. She says, "For me it's nearly impossible not to be writing something new." Her first studio recorded demo, " I Don't Know Why", (free download available on Reverbnation) was done in Jersey City, NJ in 2004, co-produced by Miguelito DJ MainOne and featured Aech Baez on keys. Currently, you can catch Alley Sheay performing in the NY, NJ, PA, CT area. Besides working on her debut EP titled Crystal Ball, anticipated out in 2019, Alley is involved in a few other awesome projects. 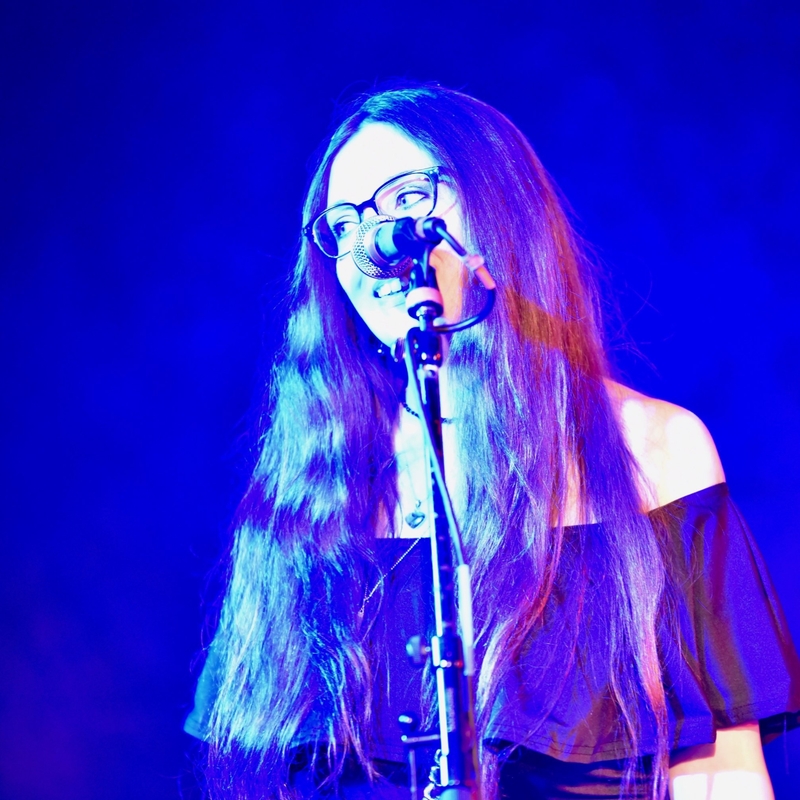 The new Dream Eternal Bliss album, Picture Glass, dropped in Sept 2018, and Alley was asked to add some background vocals for the Progressive Pop Rock style album. It is available on iTunes, Pandora, Spotify, CDBaby and more. She will be hitting the stage with them as well for select shows. Alley has a few other writing projects in the works. One is with Florida/Atlanta based award winning musician and friend, John Hirt. He and Alley met in Atlanta, and have been writing together ever since. With an Americana/Folk vibe, they are well on our way to a very cool EP. Check out Alley Sheay on Soundcloud, Reverbnation, and YouTube. Follow on Facebook, Instagram, and Twitter to stay up to date on all the great stuff happening. On February 24, 2019, Alley Sheay joined Dream Eternal Bliss once again to perform songs off their Picture Glass album. The album, which released in September of 2018, features Alley Sheay as a guest vocalist on six of the eight tracks. Songs like Golden Wings, Addicted, and Loud are proving to be fan favorites.